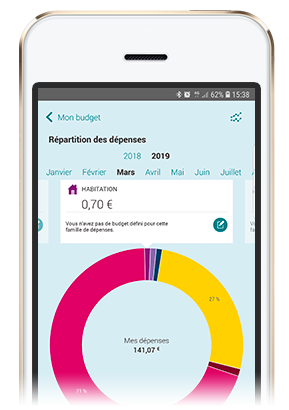 Ma Banque is an app developed by CA Normandie to help you consult and manage your accounts and budget as well as carrying out your daily banking transactions in French. Ma Banque is easy to use and offers a large range of services. It is split in to several different parts. You will have access to your branch and advisers contact details including the opening hours should you need to contact us when away from home. Go to App Store (1) or GooglePlay (2) depending on the type of mobile device you have. Under the ‘Apps’ search for My Banque. Once found click on Je Suis client in order to create your profile. Next click on Normandie on the map of France or indicate 14, the beginning of the Normandie postal code (regardless of your postal code being in the UK or an area in France outside of Normandie). Create your profile-your email address, create a 4 digit passcode, confirm the 4 digit passcode, enter your 11 digit account n° then click on Continue. Scroll down to see full T&C’s then click on Accepter to continue. You will have the option of setting up fingerprint recognition if your telephone allows for this. You also have the option of giving a name to your profile and adding a photo. This is not obligatory. Enter your 6 digit French online banking code (if you do not have a 6 digit online banking code, please call us on +33 (0)2 31 55 67 89). You can then access your account. If you have previously set up the app and have either not used it for more than 90 days OR have had to download again and have gone through steps 1-5 above , you will see a screen showing Profil existant. The email address you have previously created will be shown. Click on Continue. You will then need to type in your 4 digit passcode previously used. If you have forgotten what it is you can enter a new once in the boxes provided. Then click on Valider. You will be asked to enter your 6 digit French online bank code before being able to access your account(s) (if you do not have a 6 digit online banking code, please call us on +33 (0)2 31 55 67 89). Click on Code personnel oublié when you open up the app. Enter your new 4 digit password. Confirm your password change by entering your 6 digit French online banking code (if you do not have a 6 digit online banking code, please call us on +33 (0)2 31 55 67 89). You can then access your account(s). 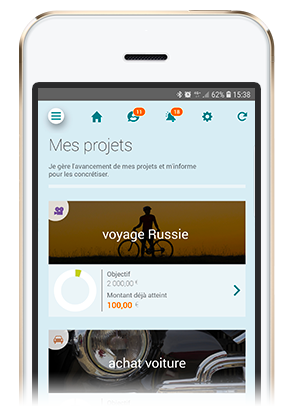 Free download and access to the My Bank application, excluding communication costs according to operators. 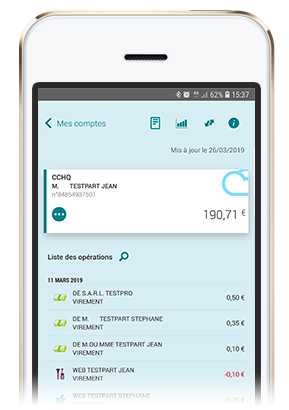 The use of the application requires the use of a communication terminal compatible with Internet access and a subscription to the Crédit Agricole En Ligne service. Services may vary depending on your Regional Bank. (1) App Store is a trademark registered under the name of Apple Inc.
(2) Android™ and Google Play are trademarks of Google Inc.